Rodriguez Pass walking track is a challenging hike from Govetts Leap or Evans lookout, in Blackheath. 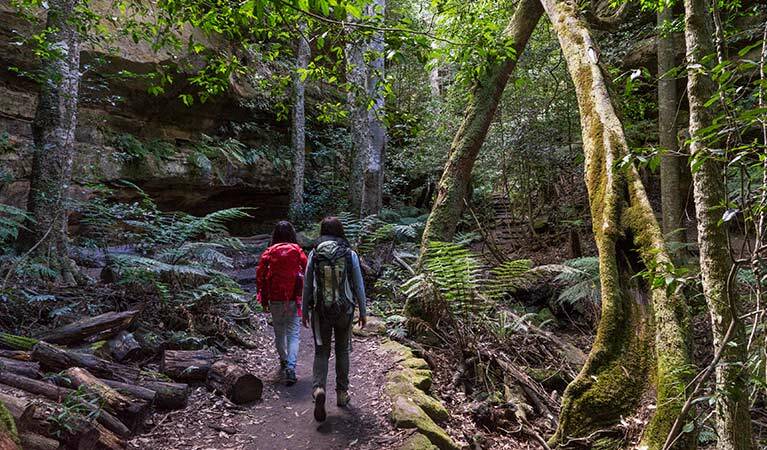 It winds past spectacular waterfalls, lookouts and lush rainforest in Blue Mountains National Park. Rodriguez Pass walking track can be started from either Govetts Leap lookout or Evans lookout. This long walking track is very steep and difficult, and has minimal signage. It’s recommended for experienced hikers with good fitness and navigation skills. Take care as there are exposed cliff edges, steep stairs and slippery creek crossings. Check the weather before you go as creeks can flood after heavy rain. 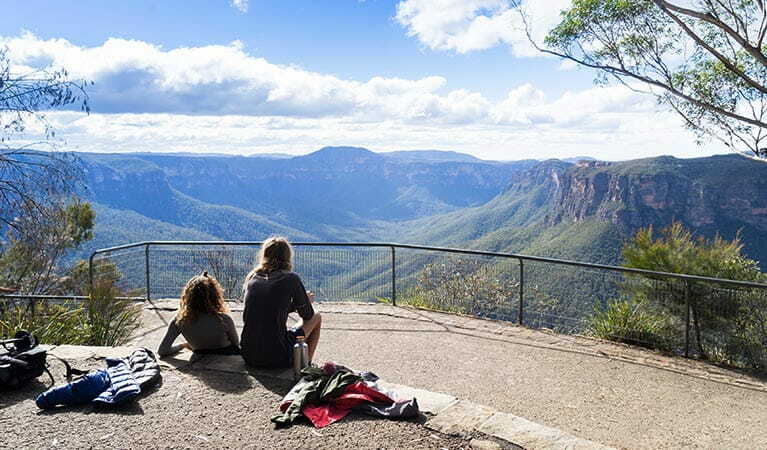 Visit Blue Mountains Heritage Centre at Govetts Leap before you set out. Pick up maps, route advice, fill in the free trip intention form and hire a PLB. It’s a good idea to take a topographic map, GPS and compass. 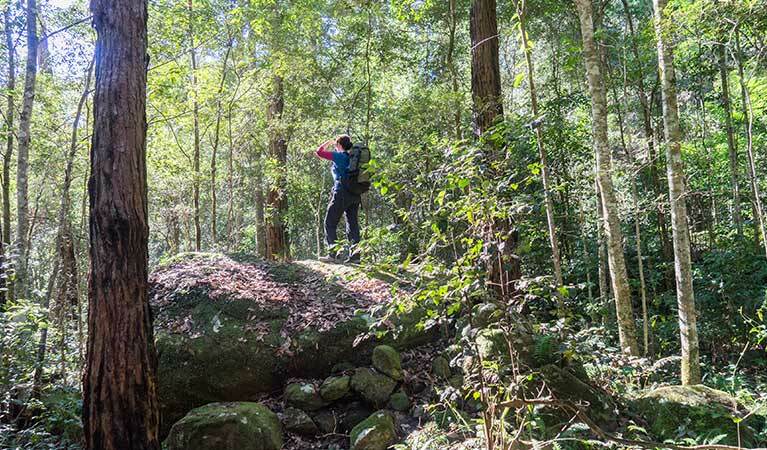 From Junction Rock you can extend your walk 3km to remote Acacia Flat campground and onto Blue Gum Forest. 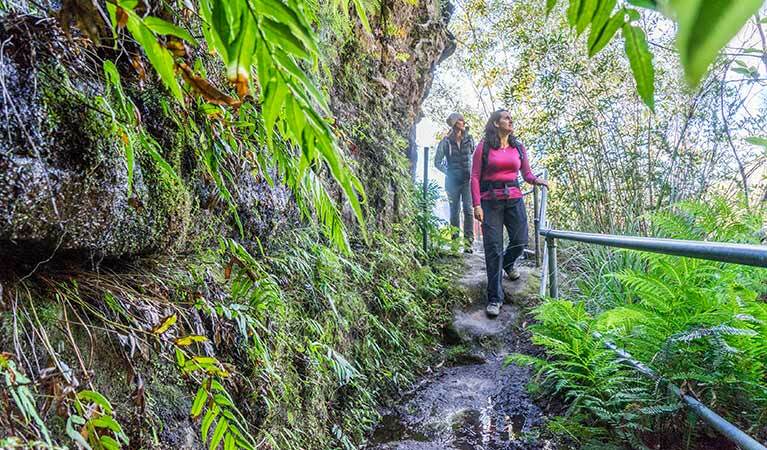 Rodriguez Pass walking track is a must for experienced bushwalkers looking for a heart-pumping day hike in the Blue Mountains. 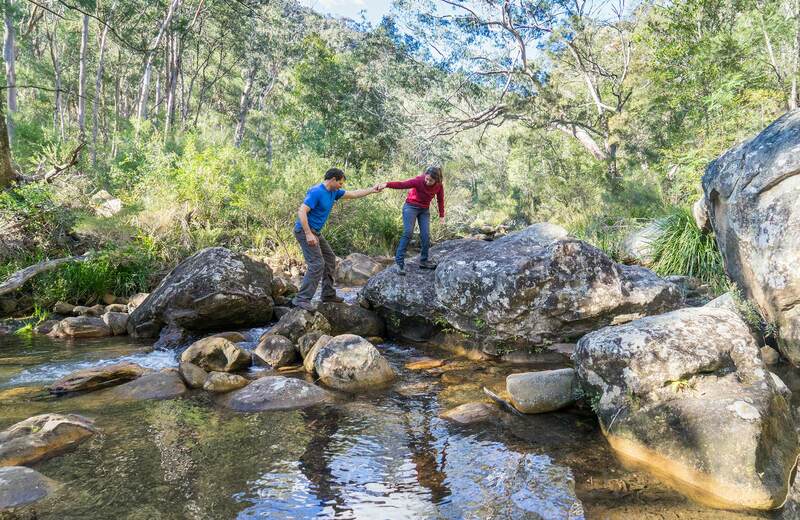 Start at the famous Govetts Leap lookout and descend into the Grose Valley, past hanging swamps, to the base of Bridal Veil Falls. At 180m, it’s the tallest single-drop waterfall in the Blue Mountains. 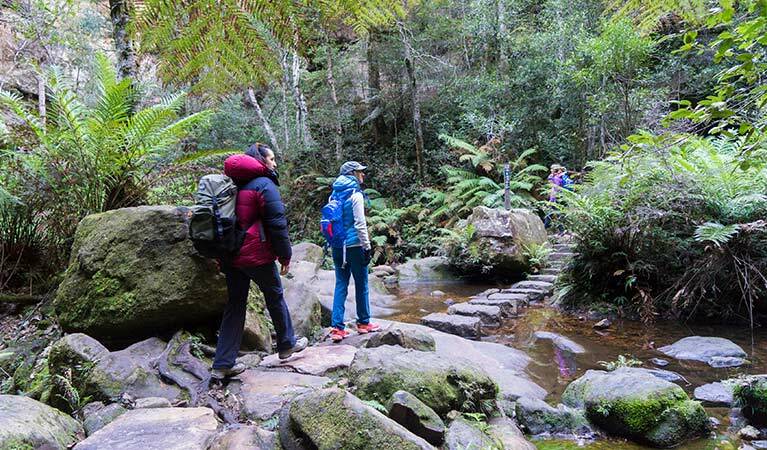 The walking track winds along Govetts Leap Brook for around 2km, until it meets Govetts Creek at Junction Rock. This is a great place to catch your breath, enjoy a scenic lunch, or take a dip in the creek. You might even spot crayfish. 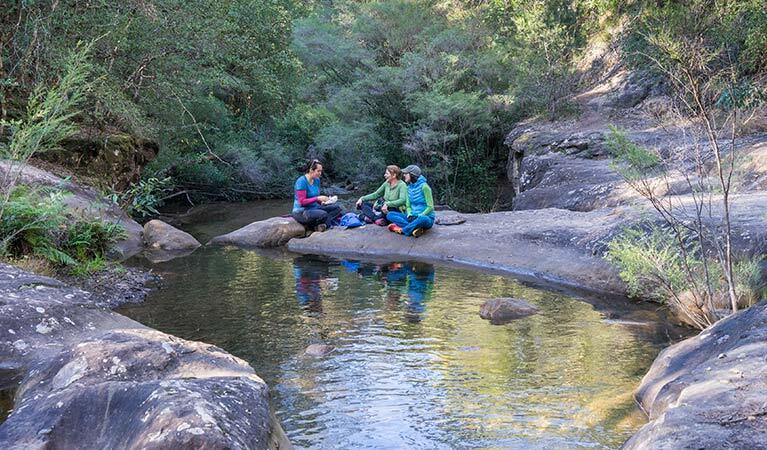 Take a moment to sit back and enjoy the abundant birdlife, including yellow robins, scrub wrens and thornbills, and the beauty of this remote part of the Blue Mountains. From here, the track turns towards Evans lookout. 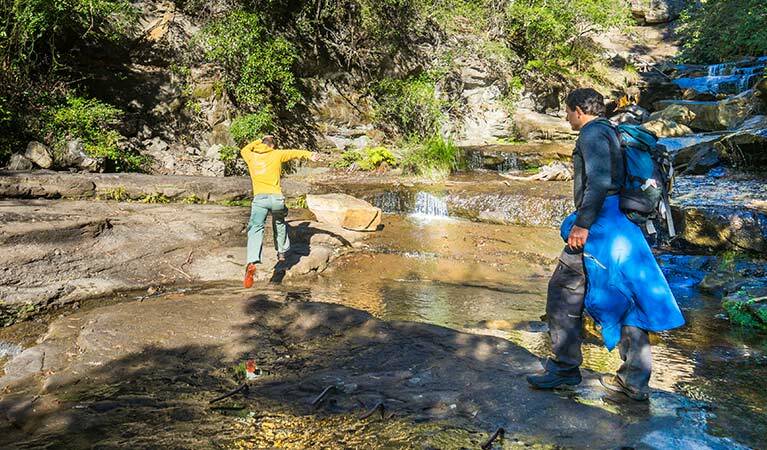 This section involves some steep climbing, sandstone stairs, creek crossings and scrambling over boulders, before reaching Beauchamp Falls and the Grand Canyon. After climbing the historic stone stairs out of the canyon you’ll be back up on the escarpment to enjoy unforgettable views from Evans lookout. 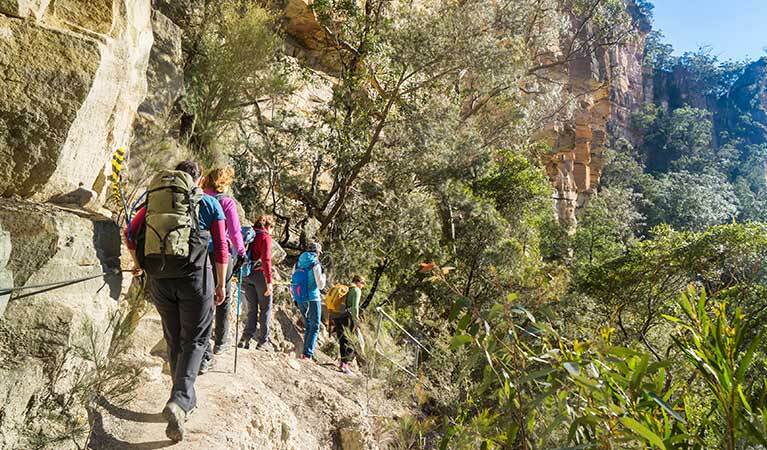 Loop back to Govetts Leap by taking the 3km Cliff Top walking track. You can also arrange a car shuffle between the 2 lookouts. 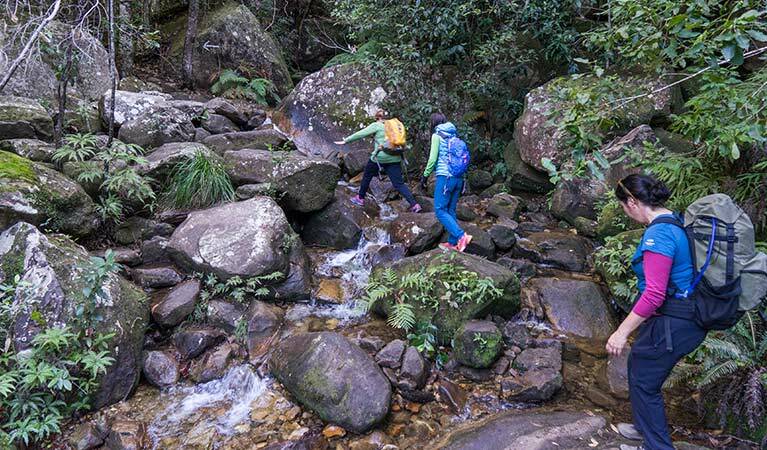 Are you planning a long hike, off-track or overnight adventure, or visiting a remote part of the Greater Blue Mountains wilderness? We recommend you fill in a trip intention form and carry a personal locator beacon (PLB) for your safety. Find out more about the trip intention form.